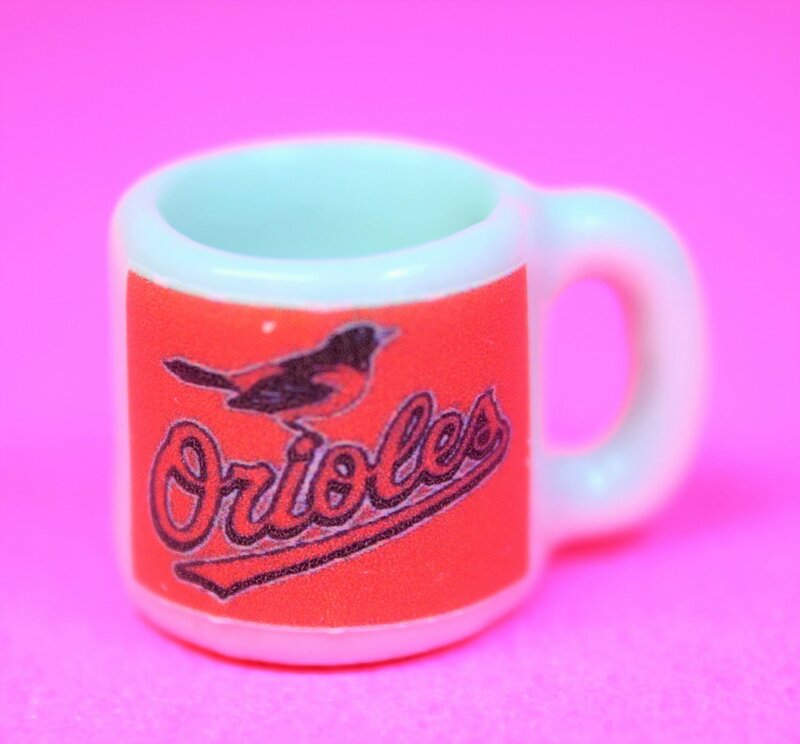 This is a replica of an Orioles sports coffee mug. The mug is 1/2 inch tall. The mug is ceramic material. The basic mug is white. The decal on the mug does not come off. We combine your Domestic shipping costs into only one charge for everything you buy. That combined charge is $3.00 for one or one hundred items. We combine your International shipping costs into only one charge for most everything you buy. That combined charge is $5.75 for one or one hundred items. The only exception is if the shipping box is larger than our usual shipping box. We will then advise you of the difference before you buy.